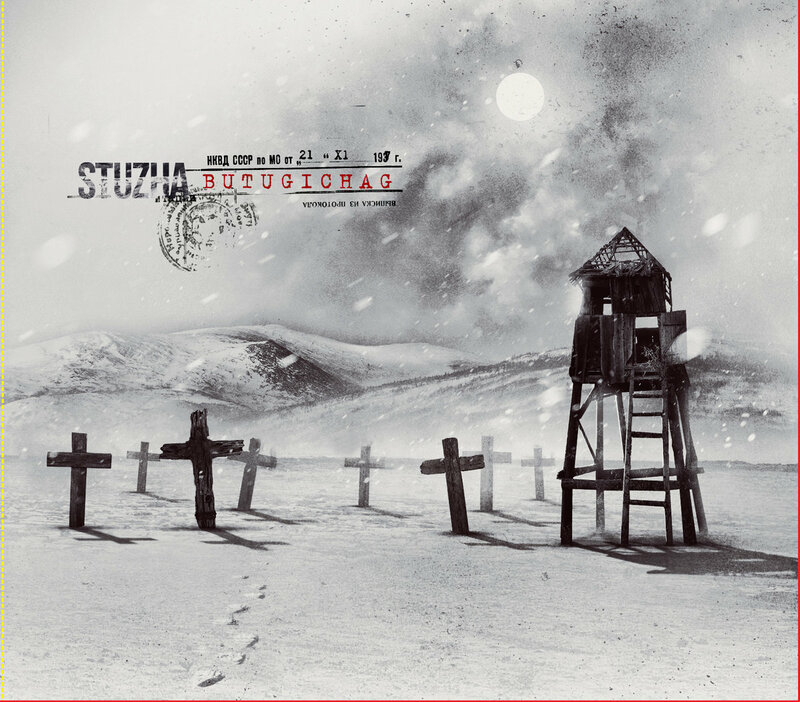 Stuzha first caught my attention at the beginning of 2017 during my brief stint with Heathen Harvest, when they sent me his album, Butugichag, to review. I was immediately enraptured by the depths of his frigid polar ambient style and his take on the cinematic side of dark ambient music. As the man behind the project is native to the Siberian expanses of Russia, it is no surprise that he is able to convey this style so well. Siberian Sketches II is the follow-up to his first major release Siberian Sketches, all of which were released by Ksenza Records and distributed by Infinite Fog Productions. There is actually quite a huge difference between the styles of the two Siberian Sketches releases and Butugichag. Butugichag was an incredibly subtle release, with slowly evolving drone-work and field recordings which lingered in the background. The Siberian Sketches albums are more active album in almost every respect. In fact, the latest release takes these differences much further than did Siberian Sketches I. There are a ton of field recordings incorporated into this release, making it the most cinematic work of Stuzha to date. While Siberian Sketches I incorporated some guitar, the guitar on Siberian Sketches II is also great increased, being used on most of the tracks here. This time there are even subtle vocals added to the mix. These are not the style of dark ambient infused vocals of something like a Ordo Rosarius Equilibrio sort of project (which honestly is a stretch to even be called dark ambient), but more in line with the vocals on some tracks by Taphephobia; a deep, brooding voice which is barely audible on sub-par speakers and blends gently into the rest of the mix. Siberian Sketches II starts with a door swinging open and someone stepping out into the icy snows of a raging blizzard, on the aptly titled “Into the Blizzard”. As they step back indoors we can still hear the storm raging just outside the threshold, a fire roaring in the stove and a dog barking nearby. The music on this track is composed almost entirely of field recordings and a guitar that sounds to be acoustic with some light effects, with the later addition of an electric guitar and soft vocals. Subtly in the background, we can hear the low roar of a passing train, a dynamic which will be fully explored on the following track, “Transsiberian”. “Transsiberian”, beginning with an intercom system and distorted electric guitar ups the tempo of the album. Yet, this guitar is incorporated in a way that doesn’t compromise the dark ambient nature in the slightest. By the close of the track, the album’s protagonist is well on their way, journeying to some unknown, yet equally frigid, destination. “Winter Forest (Awakening)” brings another dynamic into play. Still here, there is no discernible drone-work to be found. The track is constructed of passive field recordings which create the background atmosphere, bass guitar which also helps to solidify that foundation, and several guitars; one of which undertakes some interesting and quite delightful tremolo-picking which reminds me of the guitar español – style, but this could be do to my lack of knowledge when it comes to guitar playing styles native to Siberia. “Here is no Life without a Fire” could be the closest to a more traditional dark ambient track, as it is one of only two on the album that seem to incorporate any use of drone-work. It is also likely the oldest track on the album, being a reinterpretation of a track from the self-released Through the Snowfield. Given all these dynamics at play on Siberian Sketches II, one may rightly be a bit bewildered as to how this could be considered dark ambient at all. But, I firmly believe that the album falls solidly into this category. There is a ton of activity happening, but it is all done with the careful reserve of a seasoned dark ambient musician. The overall cinematic element also can’t be overemphasized. One may close their eyes and find themselves lost in the whiteout of these bleak far-northern lands. 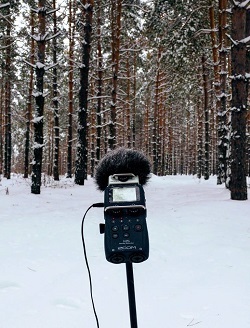 The various styles and effects of the acoustic and electric guitars also aid the field recordings magnificently in the numerous shifts between indoor/outdoor cinematics. 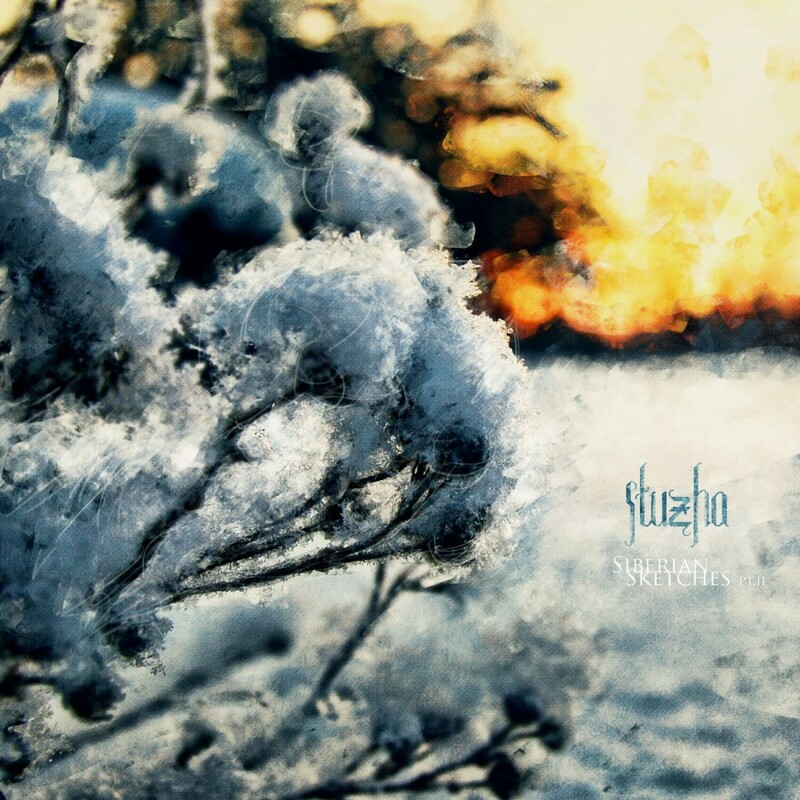 Stuzha once again proves their talents with Siberian Sketches II, this time taking what they learned from Siberian Sketches I as well as Butugichag, and crafting an album that is incredibly relaxing. It could be the sole companion to a lonely evening by the fire during these upcoming winter months. It could also be allowed to fall into the background during any reading, study or writing sessions. Between the combined albums of all his projects: Stuzha, Algol and Black Wanderer, Daniil Kazantsev proves himself to be an incredibly capable force in the genre of dark ambient, and one which I hope will become more well-recognized by the community as time passes.